Today, Cloudinary is proud to announce that it has joined The Global Internet Forum to Counter Terrorism (GIFCT), to help fight the spread of terrorist and violent extremist content on the Internet. The forum was established by Facebook, Microsoft, Twitter and YouTube in mid-2017. Cloudinary will contribute to the hash-sharing database, which all contributing companies can use to help identify and block terrorist related images and videos upon upload. More information about the update from the forum below. 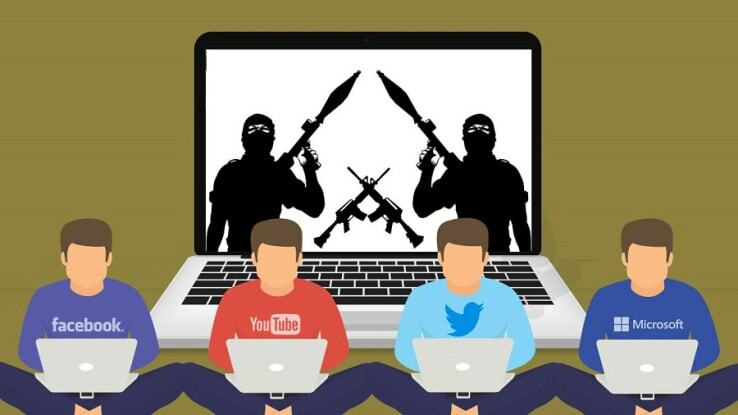 At last year's EU Internet Forum, Facebook, Microsoft, Twitter and YouTube declared our joint determination to curb the spread of terrorist content online. Over the past year, we have formalized this partnership with the launch of the Global Internet Forum to Counter Terrorism (GIFCT). We hosted our first meeting in August where representatives from the tech industry, government and non-governmental organizations came together to focus on three key areas: technological approaches, knowledge sharing, and research. Since then, we have participated in a Heads of State meeting at the UN General Assembly in September and the G7 Interior Ministers meeting in October, and we look forward to hosting a GIFCT event and attending the EU Internet Forum in Brussels on the 6th of December. The GIFCT is committed to working on technological solutions to help thwart terrorists' use of our services, and has built on the groundwork laid by the EU Internet Forum, particularly through a shared industry hash database, where companies can create “digital fingerprints” for terrorist content and share it with participating companies. The database, which we announced our commitment to building last December and became operational last spring, now contains more than 40,000 hashes. It allows member companies to use those hashes to identify and remove matching content — videos and images — that violate our respective policies or, in some cases, block terrorist content before it is even posted. We are pleased that Ask.fm, Cloudinary, Instagram, Justpaste.it, LinkedIn, Oath, and Snap have also recently joined this hash-sharing consortium, and we will continue our work to add additional companies throughout 2018. In order to disrupt the distribution of terrorist content across the internet, companies have invested in collaborating and sharing expertise with one another. GIFCT's knowledge-sharing work has grown quickly in large measure because companies recognize that in countering terrorism online we face many of the same challenges. Although our companies have been sharing best practices around counterterrorism for several years, in recent months GIFCT has provided a more formal structure to accelerate and strengthen this work. In collaboration with the Tech Against Terror initiative — which recently launched a Knowledge Sharing Platform with the support of GIFCT and the UN Counter-Terrorism Committee Executive Directorate — we have held workshops for smaller tech companies in order to share best practices on how to disrupt the spread of violent extremist content online. Our initial goal for 2017 was to work with 50 smaller tech companies to to share best practices on how to disrupt the spread of violent extremist material. We have exceeded that goal, engaging with 68 companies over the past several months through workshops in San Francisco, New York, and Jakarta, plus another workshop next week in Brussels on the sidelines of the EU Internet Forum.